Charles Sturt University (CSU) students and staff will promote the need for good foot health to Albury-Wodonga residents during an education day at the Community Engagement and Wellness (CEW) Centre on Wednesday 31 October at CSU in Albury-Wodonga.Held as part of the annual October Foot Health Month run by the Australian Podiatry Council, the CSU podiatry team will provide an education session on foot health and a free foot health screening for all participants in the morning and afternoon sessions.“Foot health is important not only because the feet are a key part of mobility, but feet are also the site of many early warning signs for conditions such as diabetes and vascular disease,” said CSU podiatry academic Associate Professor Caroline Robinson, pictured left.“We need podiatrists in regional Australia to educate our aging population about the health of their feet and lower limbs, and encourage members of the community to take a more active role in maintaining their own foot health.”The screenings during each education session will be provided by the final year podiatry students, supervised by the experienced staff in the CSU School of Community Health.“Our podiatry students are especially prepared to work in regional Australia, and recognise and understand the needs of people living in remote and rural area,” Professor Robinson said.Members of the public, particularly those aged over 50 years, can book a place in either the morning session (starting 9.30 am) or afternoon session (starting 1.30 pm) on telephone (02) 6051 9299. Bookings must be made by 5pm on Monday 29 October.The session will be held in the CEW (building 715), in Ellis Street, Thurgoona (behind the Thurgoona Plaza shopping centre). Participants can park in Carpark P8 off Ellis Street. * CSU researchers investigate shortage of women in trades in Border region* Business and industry consultation in Albury-Wodonga on Friday 12 October* A range of trades to be examined, and all welcome to contributeA lack of skilled workers in traditionally male-dominated trades has become a major problem in regional Victoria and NSW, and a team of Charles Sturt University (CSU) researchers is investigating how women can help address the problem.The team is holding a half-day Women in Regional Trades consultation at CSU in Albury-Wodonga on Friday 12 October to address the problem with the region’s business and industry community.The CSU Women in Trades team is led by Dr Donna Bridges from the CSU School of Humanities and Social Sciences, and comprises Dr Stacey Jenkins, Associate Professor Branka Krivokapic-Skoko, and Dr Larissa Bamberry from the CSU School of Management and Marketing.“We are inviting representatives from industry, government and education providers to help us understand more about the recruitment and retention of women in the ‘traditional’ trades in regional NSW and Victoria,” said Dr Bamberry, pictured left.“We particularly want to talk about targeting regional skill shortages in trades; understand and learn about removing barriers to women’s recruitment and retention in these trades; understand more about women who thrive and are successful in the trades; and learn how to better support young women to find trade careers and stay in regional Australia.“We’ll focus mainly on the automotive, construction, electrical, horticultural, agricultural and plumbing industries in the region, however representatives from other industries are welcome to join us.”The team has previously held similar events in Bathurst and Wagga Wagga, and is now particularly keen to hear from business owners and industry and training leaders on the Border and in North East Victoria.The consultation are part of a research project aimed at retraining and growing the trades in regional Australia. 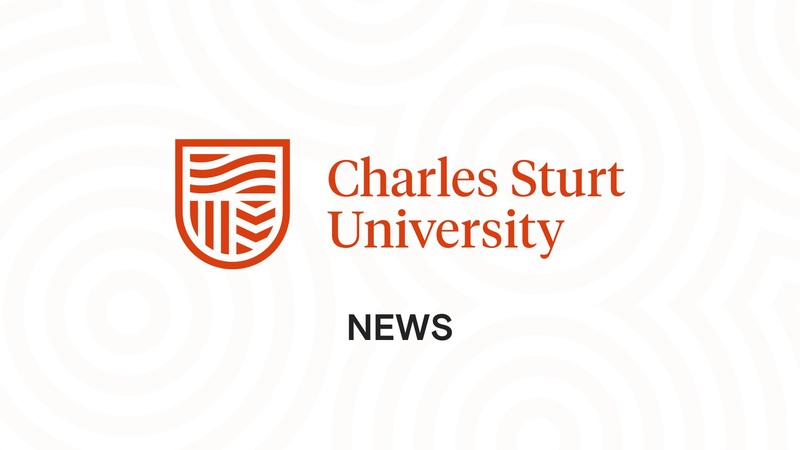 Read more hereSee more here.Event detailsWhen: 12 noon to 3 pm, Friday 12 October 2018.Where: Room 106, Building 754, CSU in Albury-Wodonga, off Elizabeth Mitchell Drive, Thurgoona, NSW.RSVP to Ms Elizabeth Wulff on email ewulff@csu.edu.au or mobile 0400 326 084, or Dr Larissa Bamberry on email lbamberry@csu.edu.au or phone (02) 6051 9843.Free lunch and afternoon tea are provided on the day.